Day 2 of our visit to Montgomery, AL proved to be busy but very special. Besides dinner last night, it was the first day we could really talk to Michael for longer than a couple of minutes since he left 8 weeks ago. Even though all of our children had their own beds. I somehow ended up with two cuties in bed with me. See that little sliver of bed by Gideon…yep that was my assigned area. Needless to say, I was up anyways so got up at my usual time of 330 to start prepping everything for the day. I had to tip toe around to make sure I did not wake up all the sleeping beauty’s. The kids all had new shoes for Summer and the trip. Delilah was so excited about her new shoes, she insisted they had to sleep with her. At this point in the game, I pick my battles and just smile at her adorable innocence. Briella was the first to wake up at 5 am. She was eager to get dressed as a Patriotic Princess and see her Daddy. Quickly, the others woke up and it was time to get ready. By 6 am, we were headed down to the continental breakfast at our Marriott hotel. Next, we headed toward Maxwell AFB and got a tour of the OTS Complex. Michael had been doing most of his drill, eating, sleeping, coursework, etc at this complex for the 8 weeks. We were excited to see it. Within moments of the tour of the dorm rooms, the kids had destroyed Daddy’s perfect hospital corners and wool blanket E folds. The OTS dorms are unlike basic training that had two bays of 60+ people per room. Here Michael shared a room with two roommates. He pulled a little seniority though when he had arrived and called the single bed vs the bunk beds. The kids were hot and wore out after a few briefings and the walking around the complex tour. We went to a local Greek restaurant and rejuvenated in the air Conditioning. Although, it was only slightly warmer than our home at 90 degrees. Alabama is humid. 10 gyros, 10 Greek salads, and countless fries later we were ready for the rest of the day. Michael had to return to base to do 3 hours of drill practice and some out processing things. They offered briefings the rest of the afternoon for the families. The briefings included: how to transition to the Air Force life, what does it mean to be a military spouse, and what to expect with PCSing. 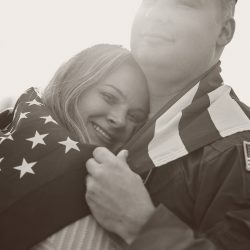 My Dad served in the Marines for 22 years, I served in the Air Force for 5 years, and have been a military spouse for almost 10 years, with more PCS’s than that. We all voted to skip these three afternoon briefings since they did not pertain to us really and the kids can only take so many briefings in a day. The kids have never been to Toy’s ‘r’ Us so we wanted to go before they closed. See the full experience and enjoyment in our blog Our first and last time going to Toys’R’ Us!. After an exciting birthday shopping spree, we headed back to the hotel to catch a nap. However, the kids all fell asleep in the 10 minute drive back to the hotel. My Dad and I leaned our seats back as far as they would go and joined them in nap time. Heading back into the hotel after our siesta. The kids voted that it was time for a swim. Michael met up just as we were all getting in swimsuits. After swimming, we headed to dinner. Michael’s Dad had arrived for the graduation so met us at the restaurant. The food was great but the service was terrible at Red Robin. It was our first time there but it was close to the hotel. 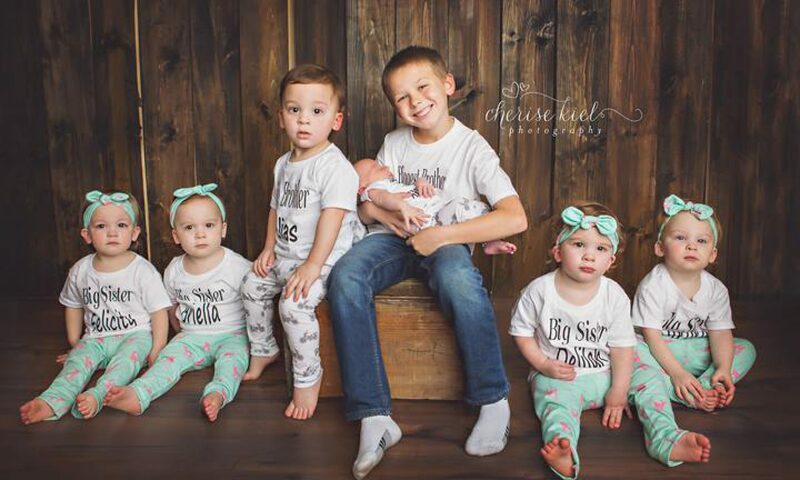 How is I can get quintuplet 3 year olds to look and smile. However, can’t get an 11 year old and 2 year old. Mom mysteries. Michael had a 9 pm curfew. After showers for everybody, we all fell asleep instantly. Previous PostPrevious Our first and last time going to Toys’R’ Us! Next PostNext Day 3 of our Alabama Trip to see Michael graduate Officer Training School (OTS) brought 3 SURPRISES!